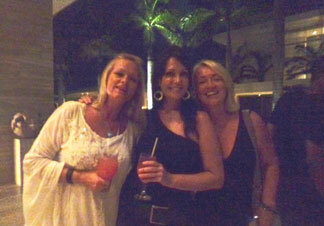 Nightlife in Anguilla... it exists. Anguilla has the population of a size of a small to mid-sized university and is in the Caribbean, after all. Here, the general vibe is low-key, laid-back and not so hyper. 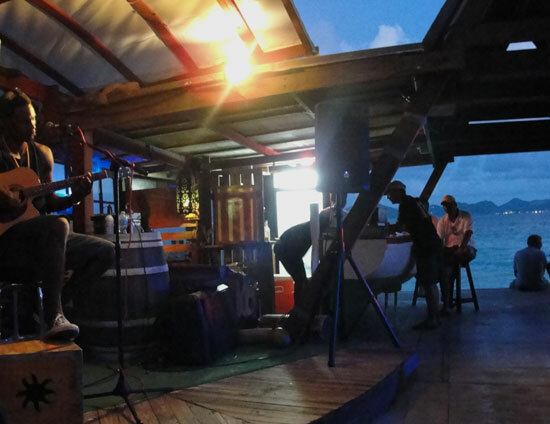 Built of a wooden boat, and right on the beach in Sandy Ground, Elvis' Beach Bar is a popular place for Anguilla nightlife. In Anguilla, there are ebbs and flows to almost everything it seems, including what you may find if you plan for an evening out, post dinner. 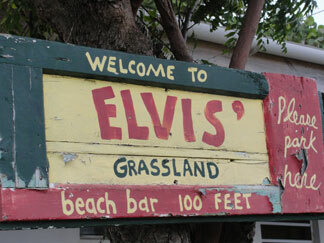 For example, a Saturday night in February at Elvis' may be crowded and people expressing themselves on the sand dancefloor in front of the dj who is playing more "clubby" and dancehall-type music. On those types of nights they may even bring out the limbo stick. Another night at Elvis' you may find a relaxed, small gathering of people sitting around the bar and and reggae is the genre of music that evening. Bankie Banx's Dune Preserve has a magical setting. A ramshackle of an establishment, made of driftwood and other treasures found from the sea, its location on Rendezvous Bay, with the rolling waves at its edge, and the twinkling lights of St. Martin in the distance, make it one of the most special spots in Anguilla. It's no wonder CNN rated The Dune as #1 beach bar in the world! Bankie Banx's Dune Preserve can be THE locale for a late night gathering. His son Omari Banks plays there from time to time and if enough people are around, the good times continue until late. Many who visit Anguilla find a way to spend at evening at Four Seasons' Sunset Lounge. While it's not typical Caribbean style, like many of Anguilla's night spots, it is beautiful and offers sushi, small plates, and cocktails. Check Four Seasons for a live music schedule as it tends to change often. There is a popular and fun dj there for dancing sometimes too! More on Sunset Lounge here. If the beach is more your scene, check out Dad's Bar & Grill, right on the beach in Sandy Ground, on Tuesdays and Sundays when Cypress Roots perform. More on Dad's Bar and Grill. Those are the top 5 nightlife spots in our book! 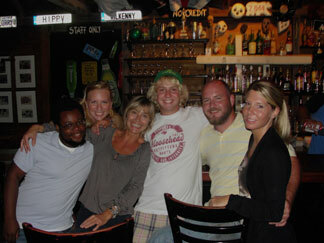 Do you have a favorite bar or lounge in Anguilla that's not on the list? Add it in the comments below by clicking here. Also, for up to date events and weekly music and nightlife schedules, please check out our Anguilla events page. The Pumphouse is another nightlife destination that has busier nights and quieter nights. Inside a funky wooden building that backs onto the Road Bay Salt Pond in Sandy Ground, for years the Pumphouse was used to refine salt from the pond. 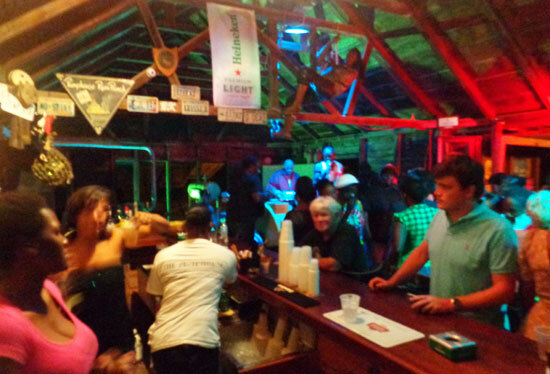 Today, the Pumphouse is one of the best bars in Anguilla. Their big nightlife night is on Thursday night when the Musical Brothers start to play around 10pm. The crowd is a mix of locals and tourists and the dancing and music can go until after 2am sometimes. 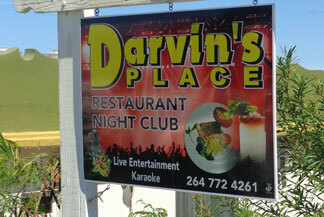 Darvin's Place is new to the Anguilla nightlife scene. While mostly local, you will find some tourists do wander in. A DJ set or live music plays all weekend. The live music is what keeps people coming back. Darvin Mussington is part of a musical family The Mussingtons who have some returning visiting fans that go back as far as the 80's and 90's. You can expect to hear reggae, calypso and soca. If you are in the mood for some lively live music and dancing, go hang out at Darvin's on the weekend nights!